It hasn't taken long for Airbnb to become a global entity in every traveler's arsenal. Through the Airbnb website, hosts can rent rooms in their own homes to travelers for a fraction of what competitors charge. It's like starting a bed and breakfast without bothering with local licensing. As an "Airbnb-er" myself, I can tell you there's a lot of positives about the service. You can stay in residential neighborhoods, bond with your local hosts and immerse yourself in the city's culture. However, it's not without risks. When you stay with an Airbnb host, you're a guest in their home, and that means you play by their rules. That's where dogs come into the mix. New York Times recently wrote an article about the problem of dog attacks during Airbnb stays. In their article, they discuss a 58-year-old named Mike Silverman who was attacked by a host's Rottweiler during his stay in Argentina. The Rottweiler mangled his arm and he was admitted to the hospital. At first, Airbnb would not cover any of the costs. (After they got word of the New York Times article, they began requesting Silverman's medical bills to see if they could help). Is Airbnb Liable If You're Attacked By a Dog? Sort of. Airbnb used to only have something called its "Host Guarantee Program," which protects hosts if guests break windows or ruin carpets. As of the first of this year, however, Airbnb also offers "Host Protection Insurance," which protects hosts against third party claims - like dog attacks. If you're attacked by a dog in a host's home, you must FIRST go through the host's personal insurance (and your own health insurance, where it applies). Only if your claim is denied by insurance does Airbnb's Host Protection Insurance kick in. This coverage only applies to stays in the US. It should be noted that Airbnb hosts aren't required to mention if they have a pet in their listing, and they often don't. Before you book a room in someone's house, you'll need to contact them to ask about it. What Do I Do If I'm Bit By a Dog While Staying Through Airbnb? Of course, the first thing you should do is seek medical attention. Before any other step is taken, it is important to make sure that you go to a doctor to examine your injuries. 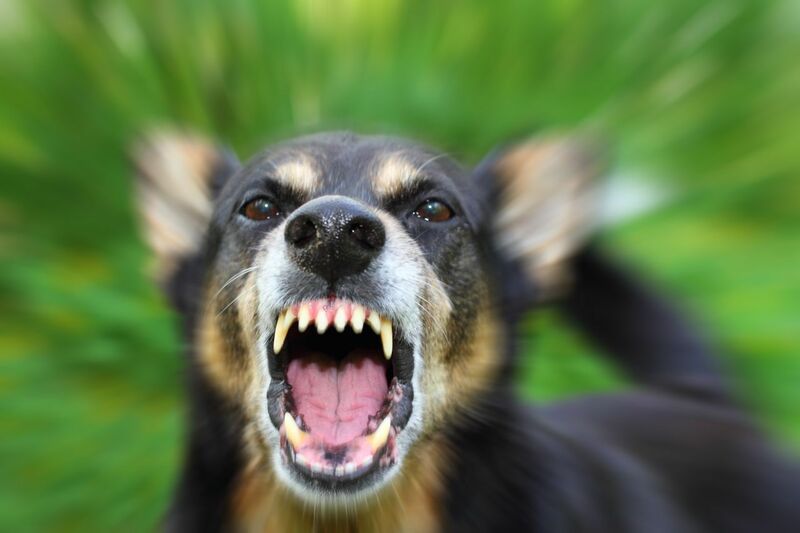 If the dog that bit you did not have current vaccines at the time of the bite, rabies and other infections should be treated immediately should they arise. You should also contact the police so they can file a report; a written police report will be useful to you later down the line, because it will hold basic but important information that will facilitate the post-bite process. And what about compensation? If you were attacked by someone else's dog, you have a right to compensation for your medical bills, missed work days, pain, suffering and more. In order to seek compensation, you'll need to file a personal injury claim. Most dog bite claims are filed through the owner's homeowner's insurance policy. Unfortunately, I can tell you that from my experience as a personal injury attorney, insurance companies rarely offer injured victims enough money to cover the cost of their medical bills, let alone their pain and suffering. I've written extensively on the subject here. The other negative is that, since Airbnb only covers travelers whose claims are denied by insurance, Airbnb won't be the ones to fill this gap. If insurance isn't going to cover all of your expenses, you'll need to hire a personal injury lawyer. A lawyer will evaluate your case, the evidence and all the information to help you decide how much money you deserve. Then, a lawyer will fight the insurance company on your behalf to recover fair compensation. Fighting the insurance company can be unsuccessful, or if successful, the settlement offer could be very minimal. It is important to make sure for the insurance company to fully compensate you for your medical expenses, which is very hard for them to do without the help of an attorney. Personal injury attorneys specialize in representing their clients against the insurance company, which means that they take car of all of the paperwork and legal process surrounding the case. As a result, you would focus more of your time and attention in treating your injuries, and significantly less time on dealing with the legal process surrounding the dog bite. Need an Airbnb Dog Bite Lawyer in Texas? Going on vacation is supposed to be fun and relaxing, which is why we understand that being bit by a dog at an Airbnb location can be an unexpected, painful, and frustrating situation. If you or someone you know was bit by a dog while staying at an Airbnb location, there may be compensation available for medical expenses, lost wages (due to going to medical treatment and caring for injuries), and much more. As the victim of the dog bite, you should not have to pay for any expenses associated with treating your injuries. Contact the Anderson Law Firm today to schedule a free, no obligation consultation where one of our experienced attorney will discuss your case and your legal rights in Texas. Call us today at 817-717-4731 to make your appointment at one of our offices in Fort Worth, Dallas, Keller, or Arlington.